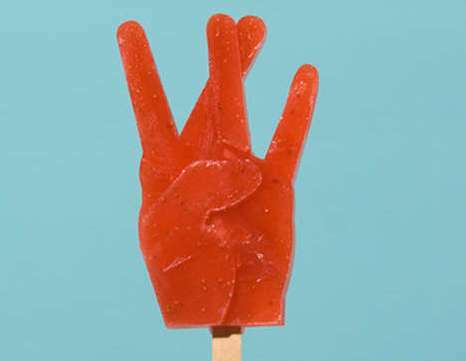 Pimped out Popsicles are all the rage in Paris right now. Don't believe me? Go to Paris and find out yourself. Back so soon? 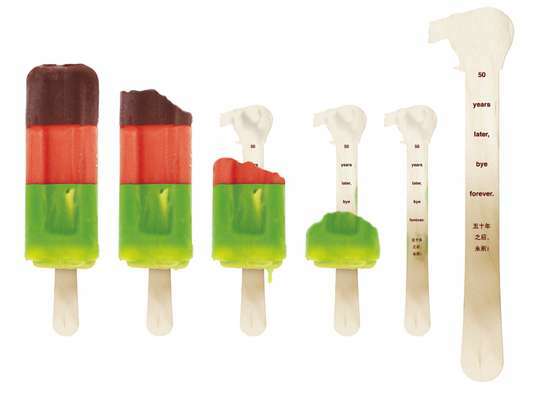 Anyway, these pimped out Popsicles will help get you through a long winter. They show that eventually it will be warm enough again to enjoy a sweet, sweet, Popsicle. My favorite is grape. What's yours? Implications - After all, there really is no better time for some pimped out popsicles like these -- especially now that the weather is really heating up! Why bother enjoying boring old popsicles when you could find yourself sucking on a succulent popsicle like some of these. Gone are the days where flavors were merely grape, strawberry or orange -- at least not as far as these popsicles are concerned.